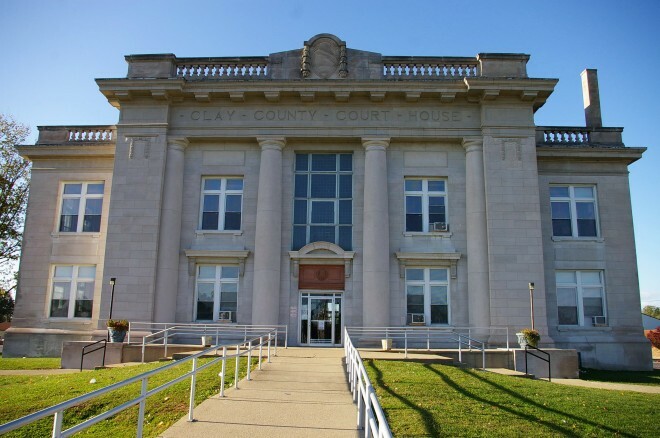 Clay County is named for Henry Clay, who was an American statesman, United States Senator and Congressman from Kentucky 1806-1852, U.S. Secretary of State 1825-1829, three times Speaker of the House and three times candidate for president. 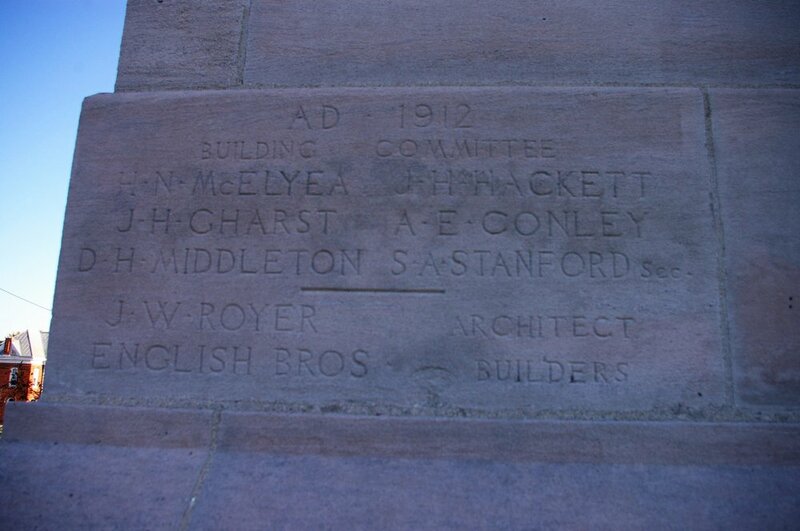 Description: The building faces north and is a two story graycolored limestone structure. 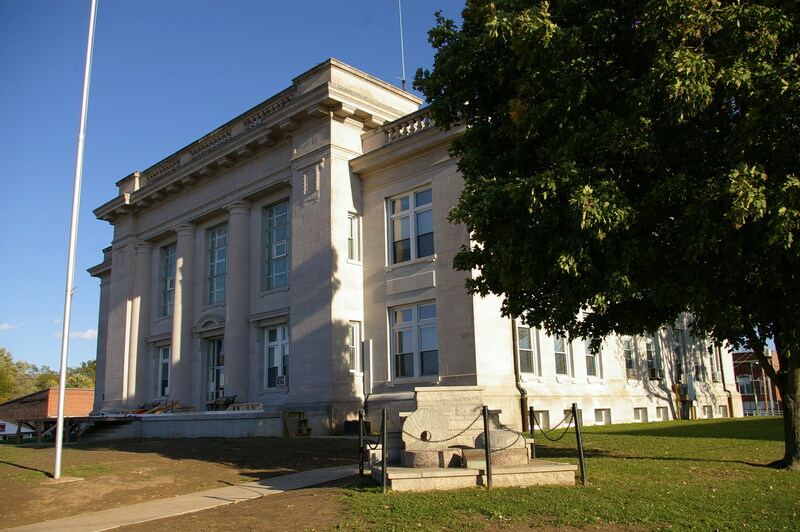 The north and south wings extend from the main building and have two large columns framing the recessed entrance on the first story. Around the roof line is a balustrade. 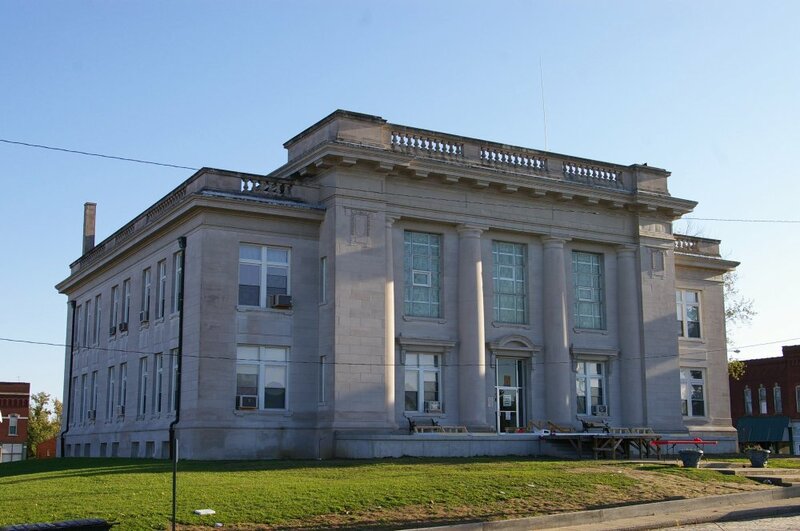 Note: The previous courthouse was built by Samuel Slocumb and Hartwig Samuelson in 1843 in Louisville.